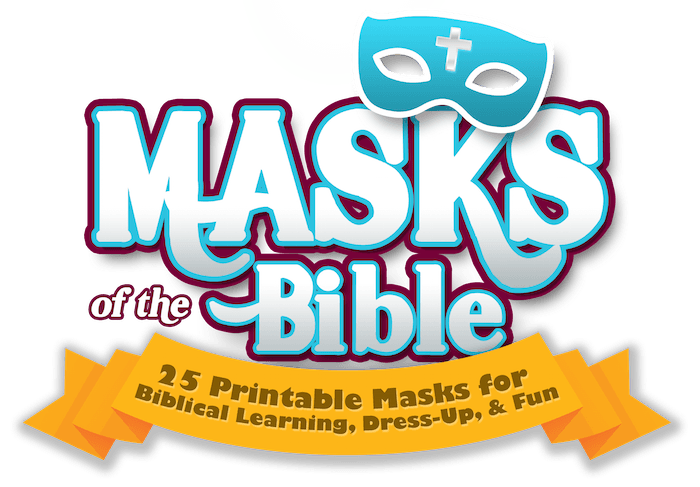 Bring the Bible Alive With Our Printable Bible Masks! Ready for something out of the box? Instead of reading about the Bible’s characters- let’s bring them to life! When kids get to become characters from the Bible, they learn about those people on a much deeper level than a typical Bible lesson. After kids cut out and decorate their masks, they will be ready to become those characters for games and presentations. 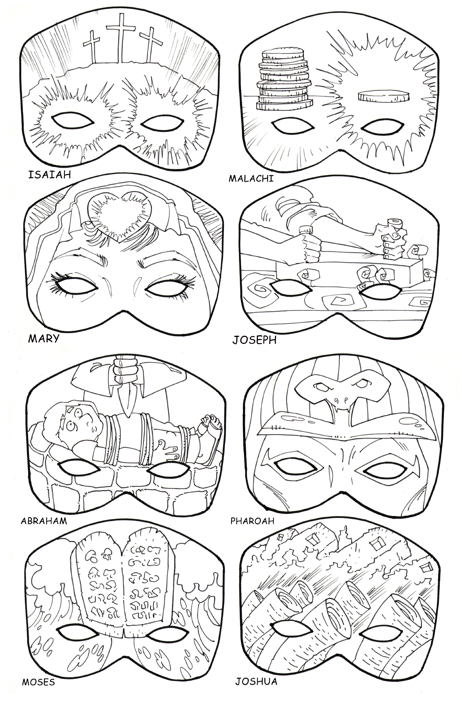 Along with each mask is a one-page “Character Card” that provides valuable background & historical information. Each week do a more in-depth study into one Bible Character. 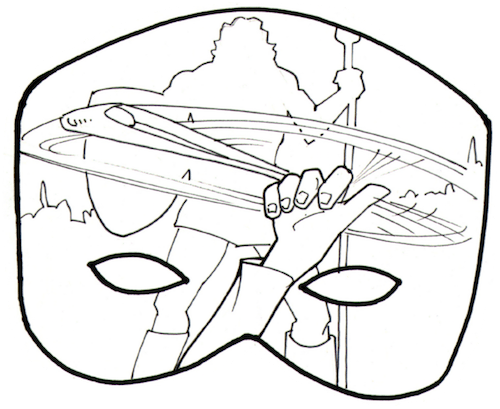 Use the printable mask as a warm-up activity and review the character card at the start of class. The mask and character card are a great take home resource for parents to use to get their kids talking about what they learned! Assign each child in your Sunday School class a mask and related character card to present to the class. You can spread it out and have one presentation a week or have “mask day” and everyone presents on the same day. We provide detailed instructions for all the games listed above. 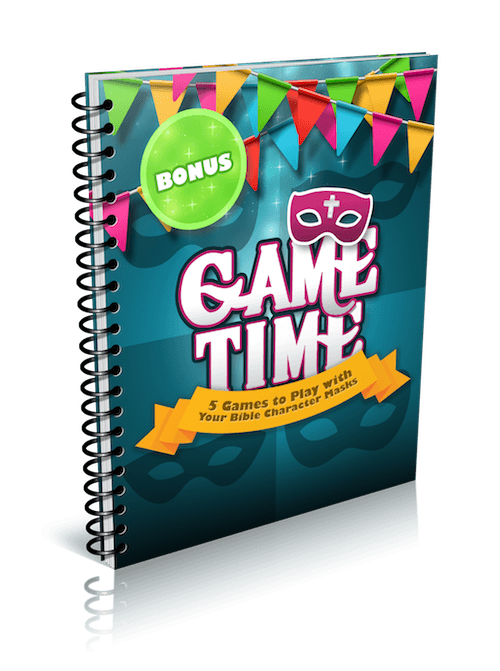 You will know exactly how to teach kids to play these games so they go off without a hitch! 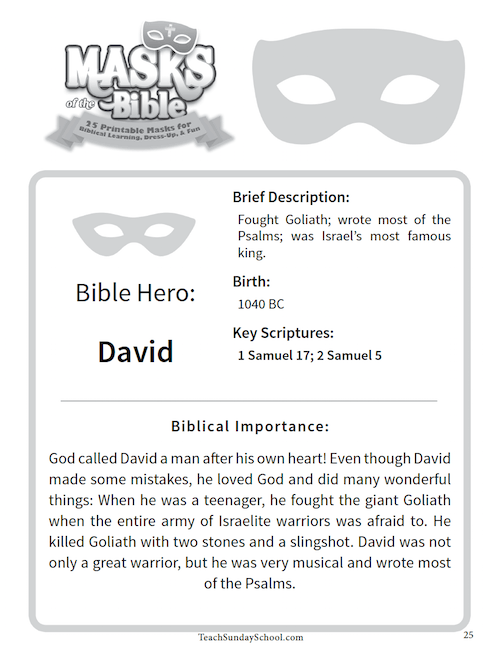 If kids play all five games, they will surely have a great base of knowledge about Bible heroes, and even some villains. As soon as your order is securely processed, we’ll direct you to a download area, where you can get instant access to the Printable Masks, Character Cards, and Game Instructions. The material is delivered in PDF format, so you can download them to your computer, or directly to your mobile device. Print out the masks and character cards on your home computer! Print out a single mask or 50- whatever fits your needs. And don’t worry- you can print more anytime! 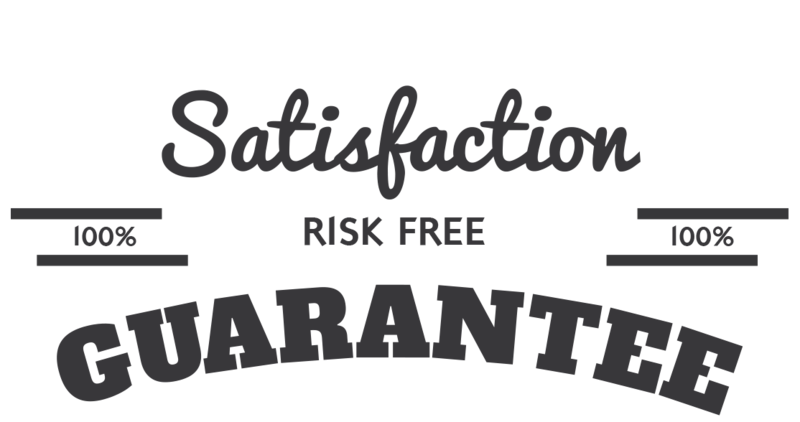 We are so sure that you will love the Masks of the Bible that we are offering an unconditional 100% money-back guarantee. 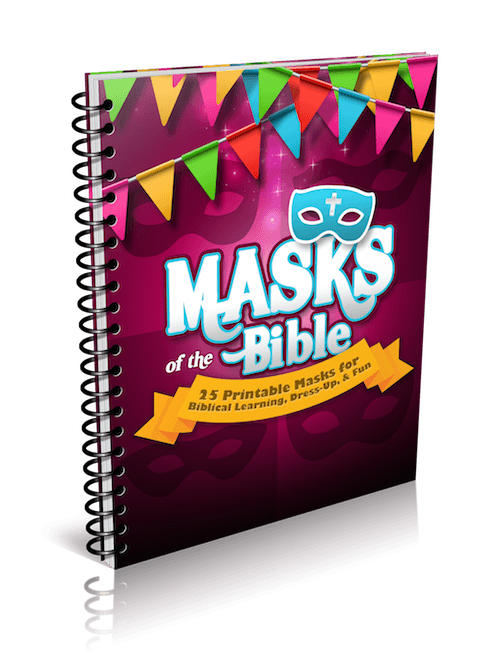 Plus, when you order 'Masks of the Bible' you can take advantage of the immediate download feature to get all the questions and materials in just minutes or even seconds from now … that means you could be using it in class on Sunday – even if you are ordering on Saturday night! as You Need. Year After Year!